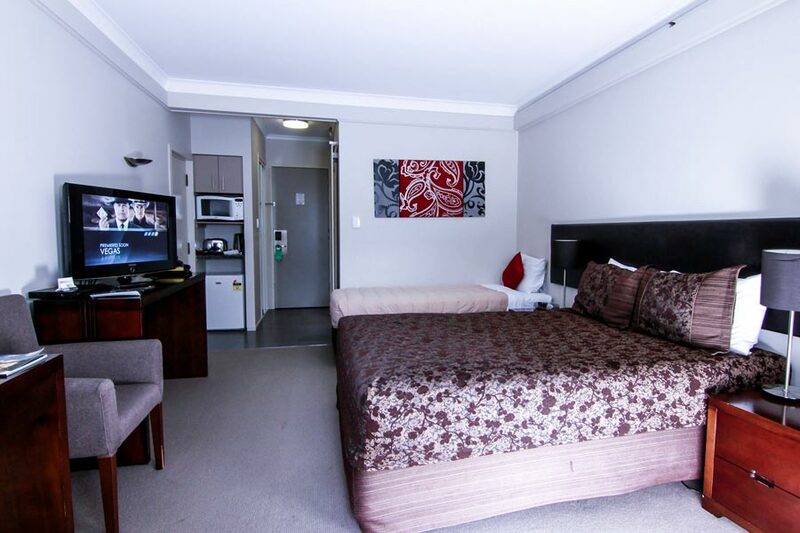 Our spacious Hotel studio rooms feature either a queen and single bed, a king size bed or 2 single beds with ensuite. The unit has tea and coffee facilities along with a microwave, toaster and small fridge. Each room opens on to either a balcony or patio area. 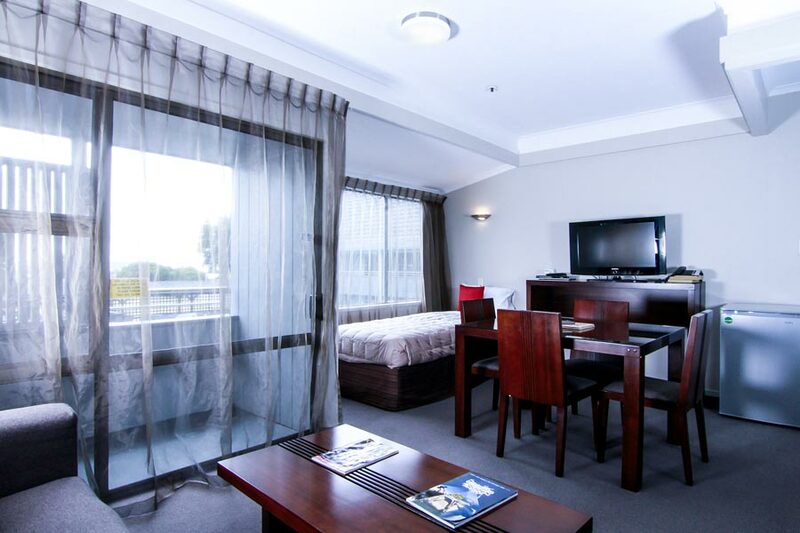 The Interconnecting Hotel studio consists of 2 rooms with an interconnecting door. 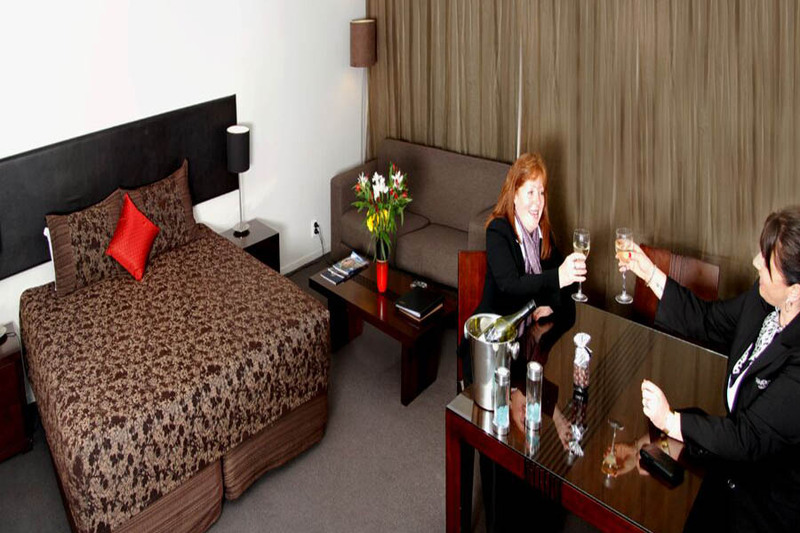 Each room either has queen and single bed, a king bed, or 2 single beds. 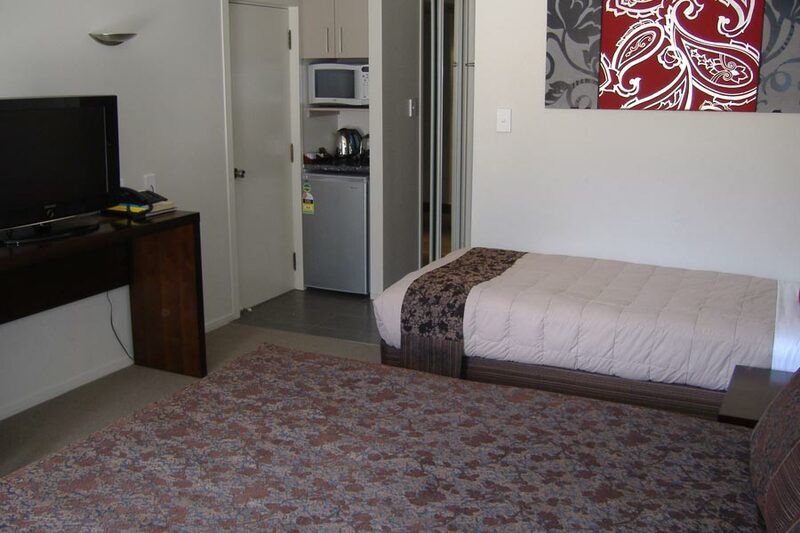 Double the facilities with 2 bathrooms, 2 32"LCD TVs, 2 DVD, 2 fridges, 2 microwaves, and tea & coffee making facilities. 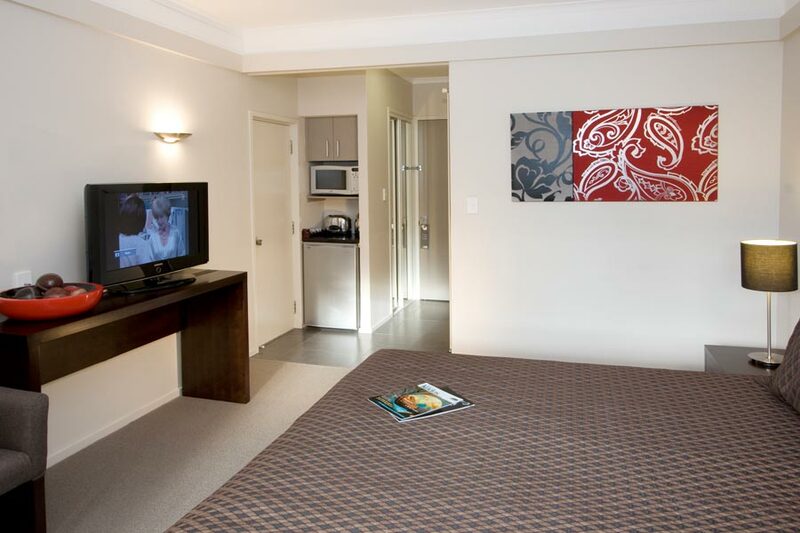 Our spacious Superior studio rooms feature either a King size bed or 2 single beds with a 32" LCD TV & DVD player. Each Apartment has cooking facilities, dining table and Air conditioning. 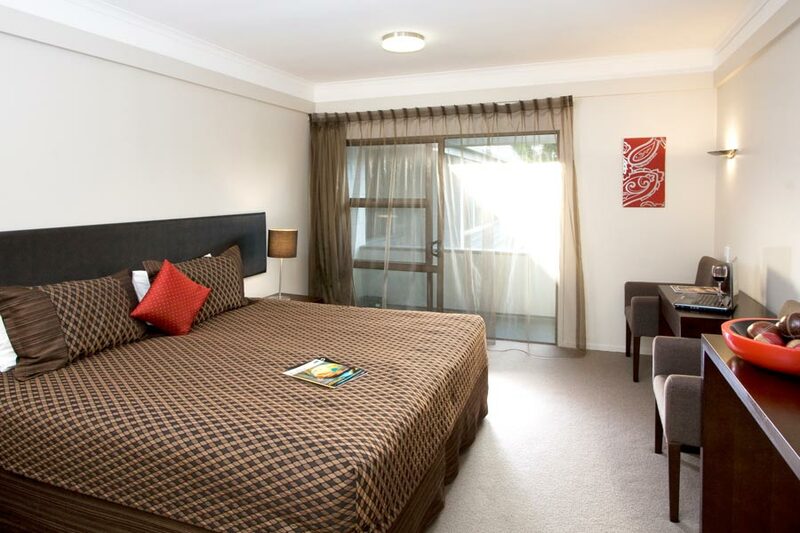 Spacious One Bedroom Apartment with Queen bed in the master bedroom and one single in the lounge. In the lounge there is a sofa, dining table and cooking faclilities which include a convection microwave and hot plates (hobb). Sit in comfort with air conditioning. Each room opens on to either a balcony or patio area. 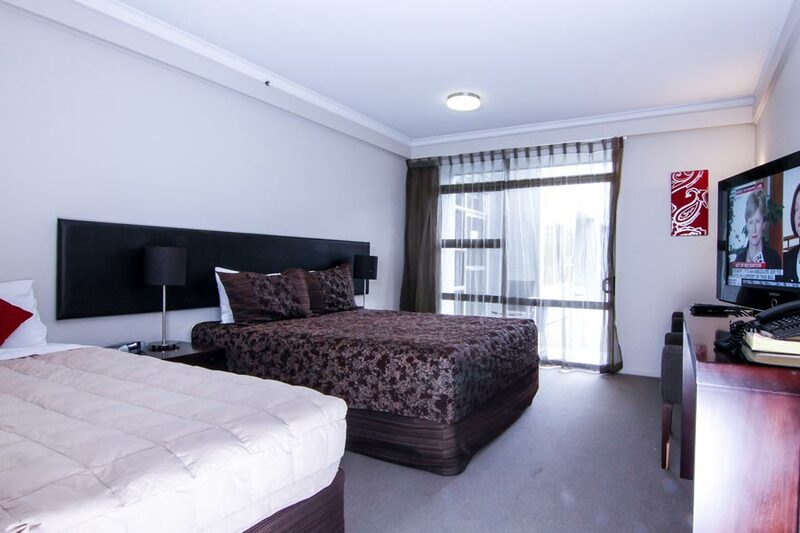 Spacious One Bedroom Spa Bath apartment with queen bed in the master bedroom and one single in the lounge. In the lounge there is a sofa, dining table and cooking faclilities which include a convection microwave and hot plates (hobb). Sit in comfort with air conditioning. 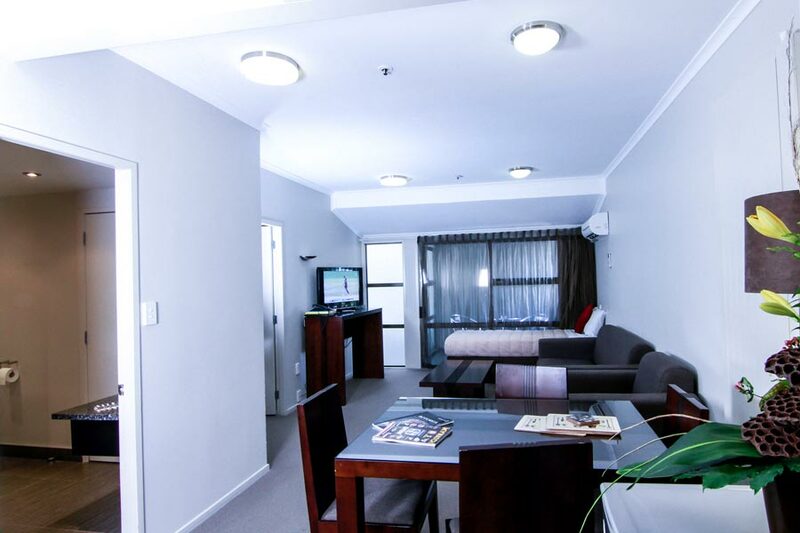 Our spacious and luxurious Premier One Bedroom Spa Apartment also known as the Executive Suite has the added benefit of a spa bath to luxuriate in. Lots of extra space to spread out in comfort or relax sitting in your own private balcony.